The Park Plaza Courts were located on the northwest side of Watson and Lindbergh interchange. The hotel grew to 135 rooms and became known as the Ozark Plaza Motor Motel before it was torn down. 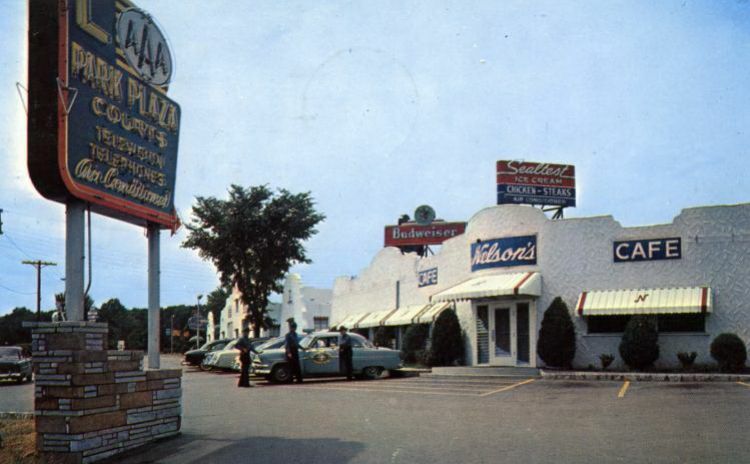 It was part of a chain that operated similarly styled motels on Route 66 in Flagstaff, Arizona and in Tulsa, Oklahoma. Note the Highway Patrol Car and troopers.